The MicroPeak USB Interface board provides a way to capture MicroPeak flight logs over a USB connection to a computer running Linux, Mac OS or Windows. No changes are needed to the MicroPeak hardware, but new firmware that includes the data download feature is necessary to use the MicroPeak USB Interface. MicroPeak transmits the entire flight log via the LED just after reporting the last flight altitude at power up. The data burst is transmitted in a simple serial format at 9600 baud. 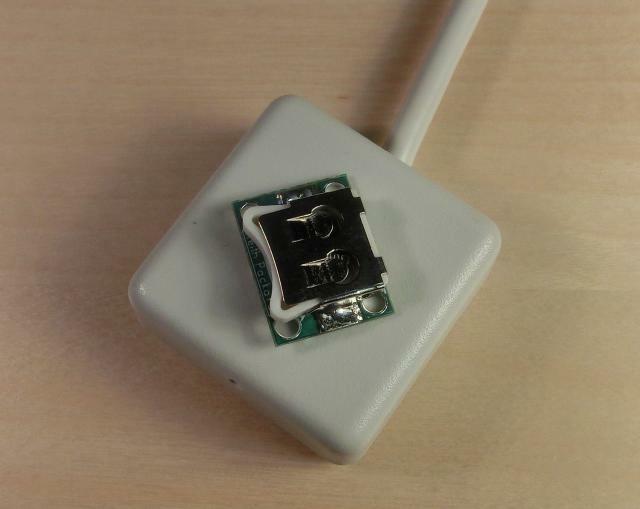 The MicroPeak USB Interface board contains a phototransistor, op-amp and serial-to-USB interface chip. It also includes a blue LED which blinks in time with the MicroPeak orange LED. This makes aligning the two boards by hand quite easy. 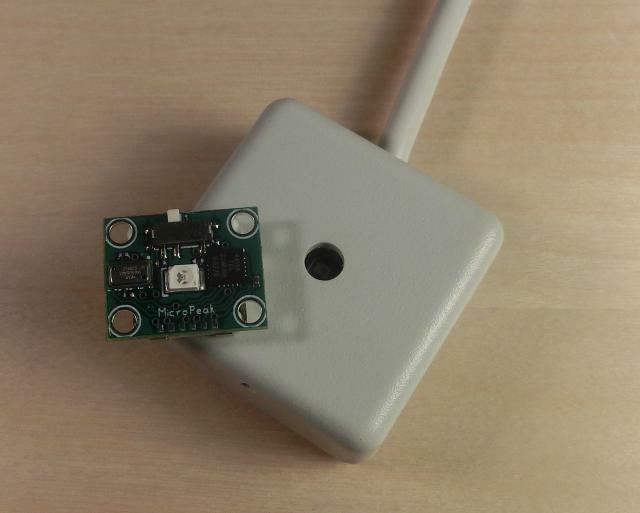 Here's a picture of the device in operation, with MicroPeak positioned to transmit data. 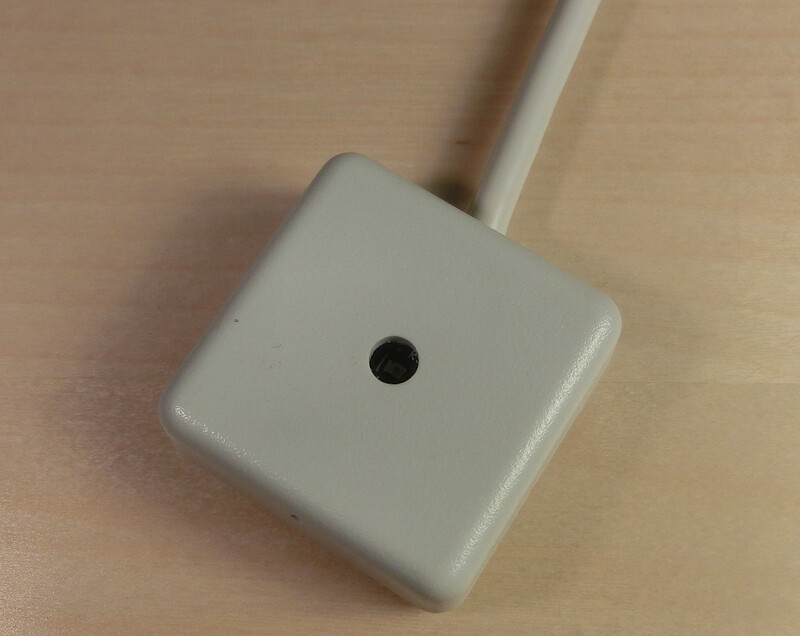 The blue LED on the interface board is visible through the smaller hole in the front of the box. The MicroPeak application written in Java runs on Windows, Mac OS X and Linux. 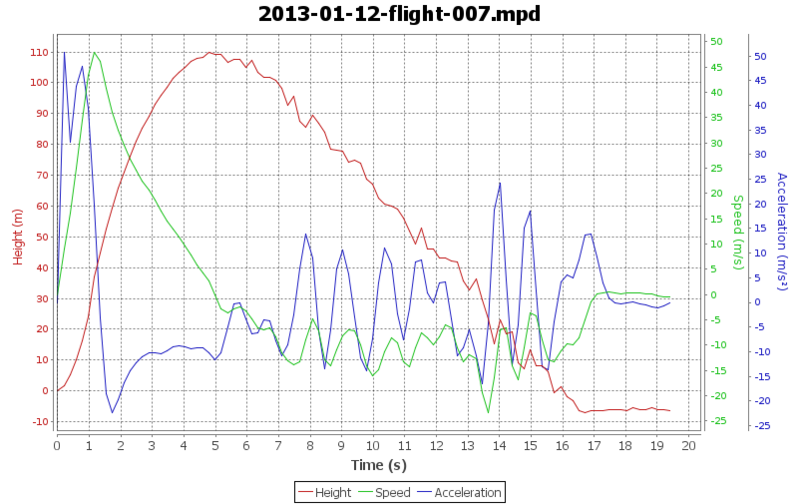 It captures and saves the flight data, then produces plots and statistics. More information is available on the main MicroPeak page. Drivers available for Linux, Mac OS X and Windows.